This state-of-the-art technology uses gentle ultrasound to stimulate natural collagen growth providing a refreshed, youthful appearance to your entire face , neck, and decollete. We can even tighten skin under the arms, buttocks, thighs, and above the knees. This is the first FDA-approved, non-surgical treatment for firming your decollete, neck, face, chin, and lifting the eyelids. Ultherapy is safe and effective for all skin types. 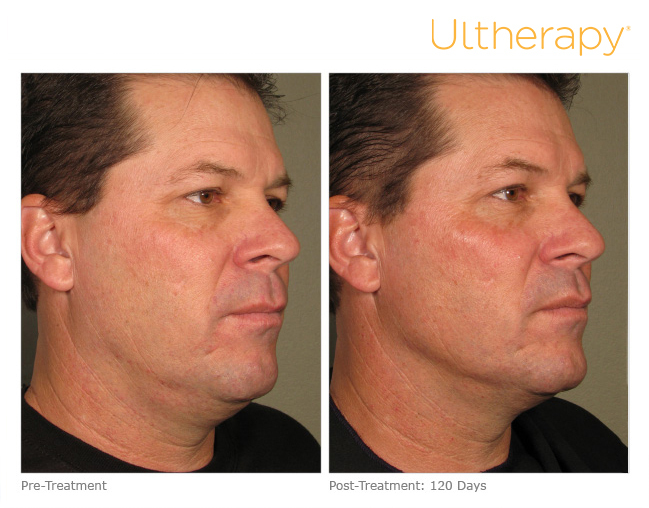 Ultherapy gives natural-looking results without needles or surgery. 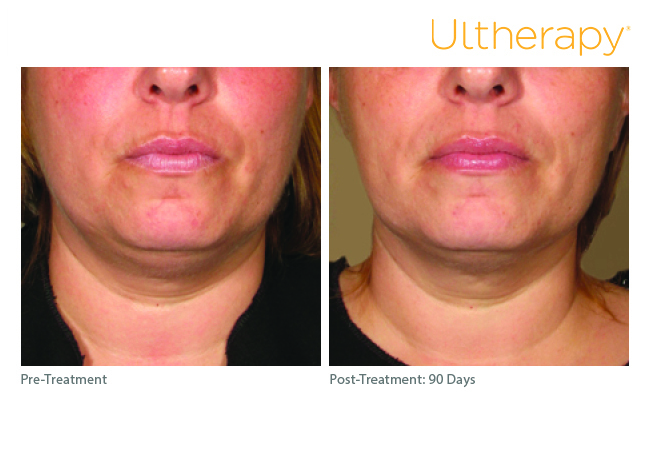 Ultherapy treats the deep foundational layer addressed in cosmetic surgery, but won't replace the results of a facelift. Ultherapy is a great alternative, however, especially those who are not ready for surgery, or for the patients looking to extend the effects of cosmetic surgery. Ultherapy deposits focused ultrasound energy deep beneath the skin at the optimal temperature for collagen regeneration. The treatment jump-starts a natural process, known as neocollagenesis, to produce fresh, new collagen. Ultherapy doesn't involve any creams, fillers or toxins; it just relies on your body's own collagen- building process for natural, noticeable results. The length of the treatment will depend on the area being treated and your individual treatment plan. A face and neck procedure typically takes 60 - 90 minutes, while a chest treatment takes approximately 30 minutes. 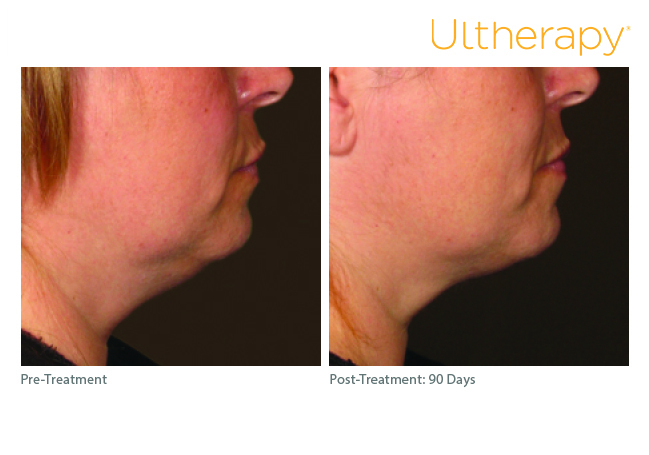 Ultherapy uses sound energy - tried - and - true ultrasound- which has unique properties that allow it to bypass the surface of the skin to treat depths not matched by any other non-invasive cosmetic device. Ultherapy ultrasound stimulates collagen production in the skin's foundation, resulting in a clinically significant lift of tissue over 2-3 months.